Advance your business and let your windows do the work! Streak Free delivers commercial window cleaning solutions that help your property promote a professional impression inside and out. A building featuring windows covered in dirt, dust, and debris doesn’t do much to inspire professionalism. But “dirty” is a natural eventuality for most panes – exposure to the elements, combined with human activity, takes its toll. Dirty windows are one of the few property features that can hurt curb appeal inside and outside. They make your business look worn down from the exterior, but they also contribute to a dark, neglected atmosphere throughout your interior. It doesn’t inspire better business, employee productivity, or a professional image. Windows that don’t receive regular maintenance are also more likely to need repairs or even a full replacement. It’s a cost that businesses can do without — especially when there’s such an affordable alternative. Streak Free provides regular maintenance packages to offer greater convenience to our customers. You choose how often you’d like a service (monthly, seasonally, or annually), and we’ll take care of the rest. The result – clean windows that you can count on to better your business. With more than ten years of window cleaning experience, Streak Free delivers the reliability and commitment to quality that our customers deserve. We deliver seamless, quality-driven solutions that commercial properties need to stay on track, and our recurring services make it easy to maintain quality. Guaranteed – With $1 million in insurance coverage and workers compensation, you’re always protected with Streak Free. 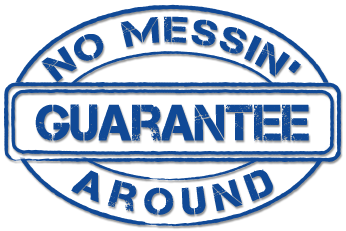 Our No Messin’ Around Guarantee and 3-Day Rain Guarantee deliver added peace of mind. Professional – All of our uniformed, background-checked, and capable technicians are a reliable resource for your property. We always treat your business with respect, and we ensure that through monthly safety and training seminars. Hassle-Free: From free online estimates to on-time solutions, our goal is to make your service as straightforward as possible. That means transparent pricing, easy scheduling, and guaranteed quality. Environmentally Responsible: Our professional-grade detergents are 100% earth-friendly and biodegradable. They won’t harm your property, your window tint, or your landscaping. Better curb appeal that supports the professional reputation of the business that you run. The first impression matters: Customers will almost always choose to bring their loyalty to a business that looks welcoming and professional. More interior natural light which upgrades your interior ambience. The effect isn’t just for your customers: The National Renewable Energy Laboratory report that daylighting, the practice of using natural light over artificial alternatives, is better for human health and workplace productivity. Lower electricity costs. More than 33% of the average building’s electricity costs go towards lighting. By allowing natural light to do its part, you’re cutting energy costs. Get the most out of your commercial property without time-intensive maintenance. Streak Free provides professional care for your windows that you can count on. Trust the experts and get spotless panes for your business!